It will be impossible to post all the photos from our June 2/3 trip to Chicago. 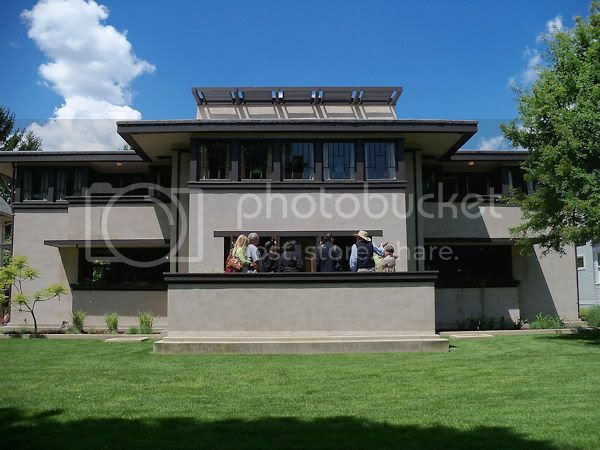 If you're interested in seeing the photos of all the Frank Lloyd Wright architecture we visited over the weekend, head on over to my FLW blog and have a look at all the June entries. There's a bunch! This was the Balch House in Oak Park. This was my favorite private residence on the tour. I to love Wrights home designs. What a neat building.